Creates simple yet elegant responsive portfolio using shortcode into your page. 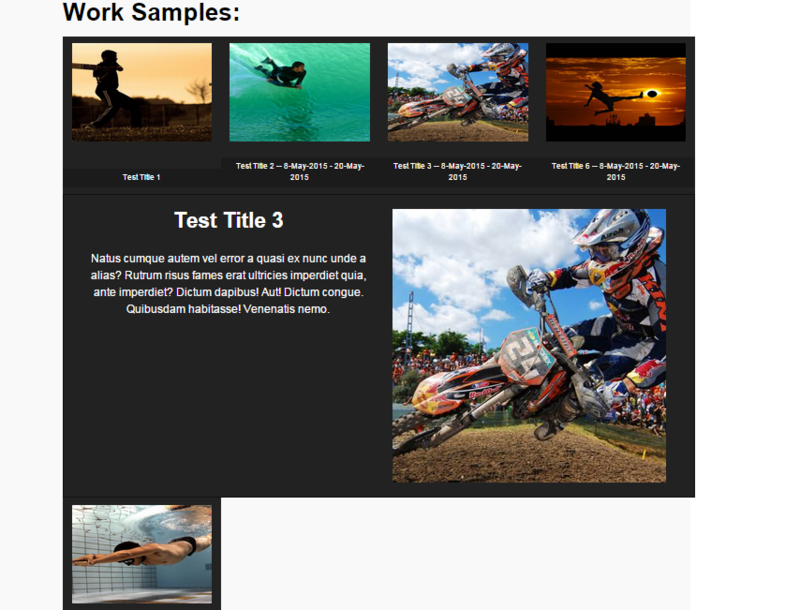 Work samples are displayed using a fancy jquery plugin jportilio. Work samples are displayed beautifully and the template itself. This a simple plugin that showcases the projects you worked on and currently working on your personal website. 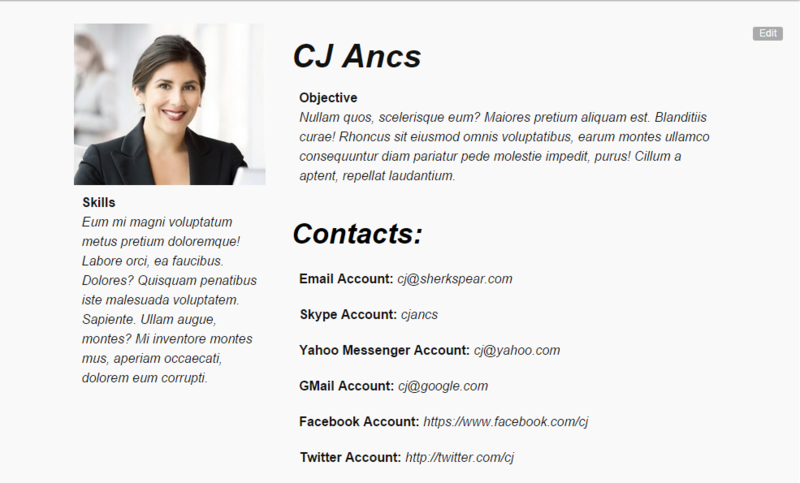 Personal details are added on the portfolio page as your contact details. Adding projects is simple as ABC. It’s plain and simple. At Dashboard, under Portfolio menu, add your personal and contact details. Add projects for your portfolio through the Add New Project submenu of Portfolio menu. Provide the details of the project and click submit. List of projects will be available for edit and delete under the Project form.